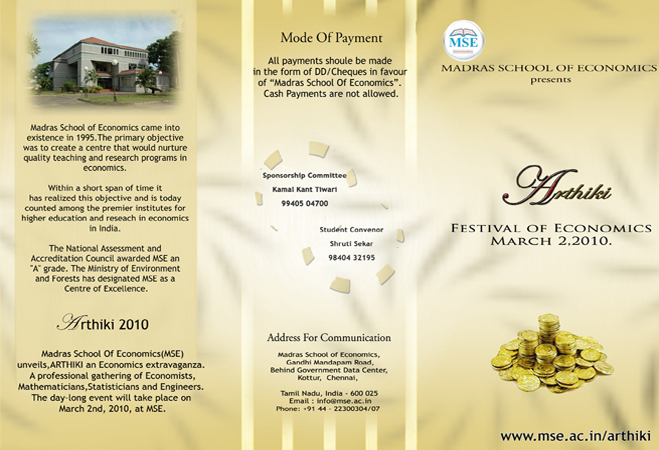 The students of the Madras School of Economics, having proved time and again in the academic arena as center of excellence for economic studies, are proud to bring together our inter-collegiate economic fest, Arthiki 2010. 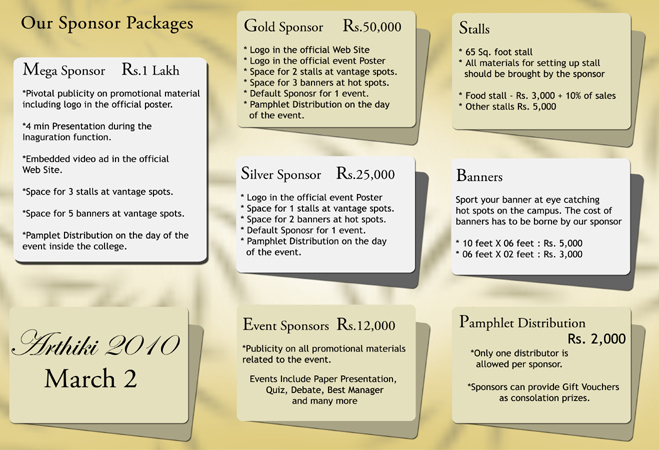 After hosting national level seminars, conferences and workshops with participants from eminent post graduation schools specializing in economics and management, we are now organizing Arthiki 2010 an economic festival at a magnificent scale. We believe that Arthiki will carve a niche amongst the most happening events among graduate schools this year. Our flexibility in innovation and introduction of quality standards will be showcased on March 2nd, 2010. We cordially invite you to be a part of it.